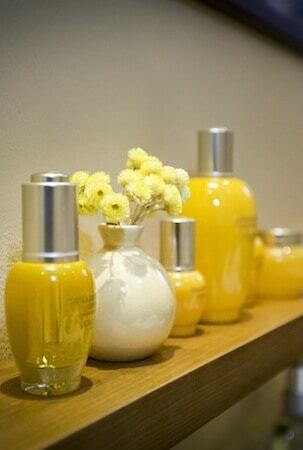 The opening day is a particularly auspicious moment to review the new L’Occitane Petit Spa. 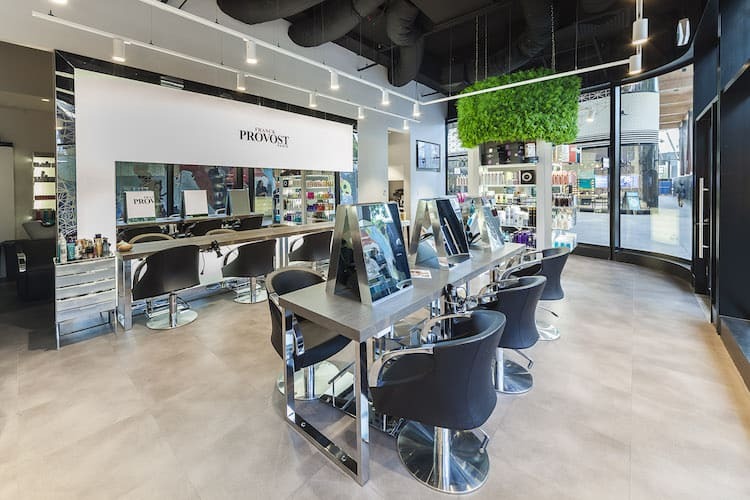 A fact that’s not lost on me, as I front up to the lovely French beauty brand’s store on a well-groomed street in the Perth suburb of Subiaco. I’m one of five media that have been flown over Western Australia for the media launch, and the excitement is palpable. The team have had all hands on deck to prepare and were apparently still screwing in lightbulbs last night, ahead of our arrival. Today however, not a hand cream is out of place, and the deliciously-scented soaps are stacked just-so, as the staff stand, in freshly pressed uniforms, smiling proudly. L’Occitane (pronounced LOX-EE-THAN) Australia’s managing director Caroline Le Roch welcomes us warmly as we’re given berry smoothies and freshly squeezed orange juice and encouraged to explore the store. The renovation has been advised by the companies “L’Occitane Home” concept – a worldwide initiative to make the stores feel more homely and inviting. It totally works. I feel like I’ve wandered into my chic aunt’s kitchen in Provence. If my auntie lived in Provence. There is an abundance of natural light, terracotta mosaic tiles and warm wooden finishes. 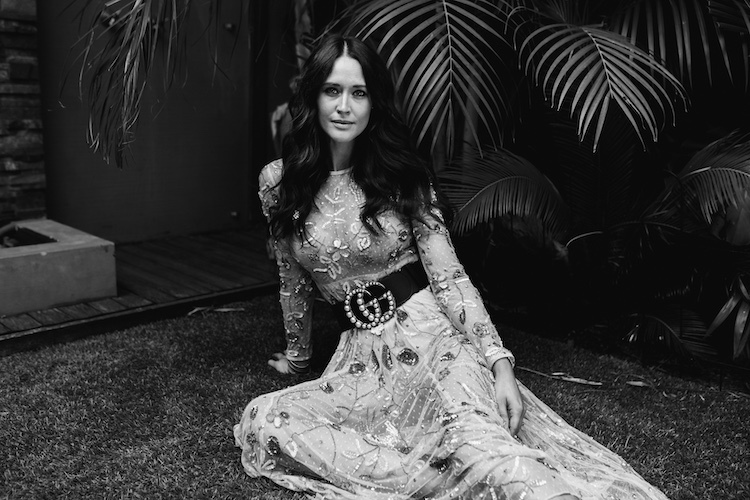 “We want customers to feel at home inside our stores,” explains the brand’s marketing director, Stacey Trinh. “It’s a bit brighter now, and easier to navigate,” she says, gesturing to open display stands of travel sized body washes and facial mists, that are as brightly-coloured and tempting as confectionary. We’re ushered up creaky, freshly painted wooden stairs (“it’s a period building, we weren’t able to change too much,” explains Stacey) to the Petit Spa – which is the name given to the smaller spas that are attached to L’Occitane’s retail spaces. 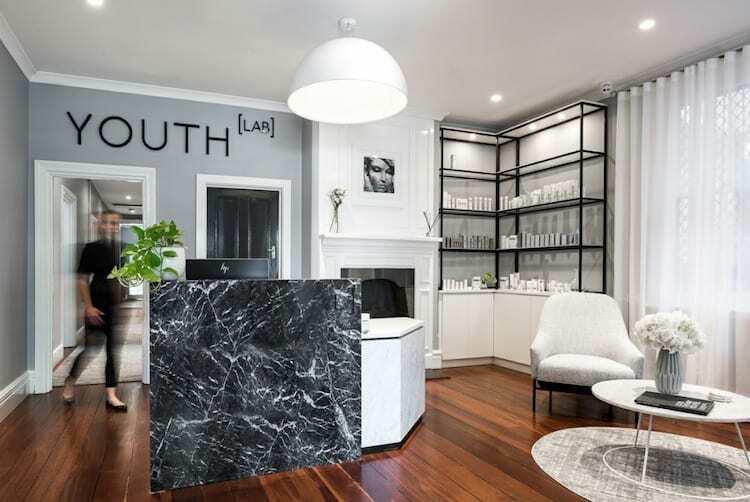 There are currently 70 spas in 25 countries worldwide – 12 of which are ‘petit’, and after enjoying spectacular success in Asia, the Hong Kong team have been on hand here in Perth all week imparting their wisdom to the staff at the newest spa. 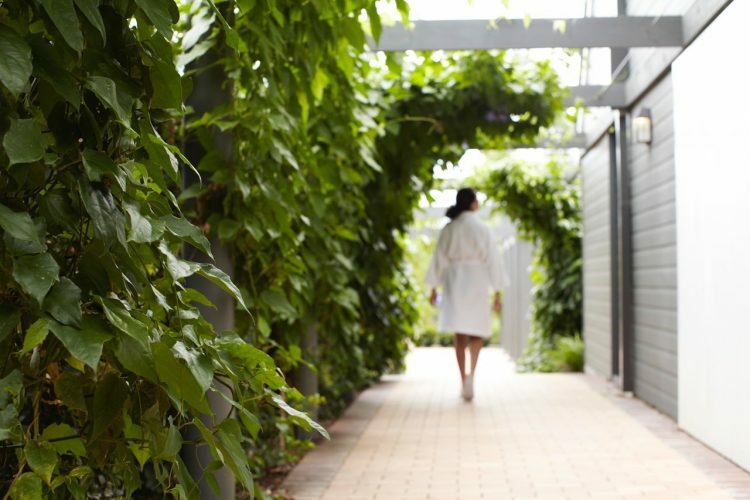 The spa is the brand’s second in Australia – their first being the Chahoya Spa by L’Occitane at Cable Beach Resort in Broome. 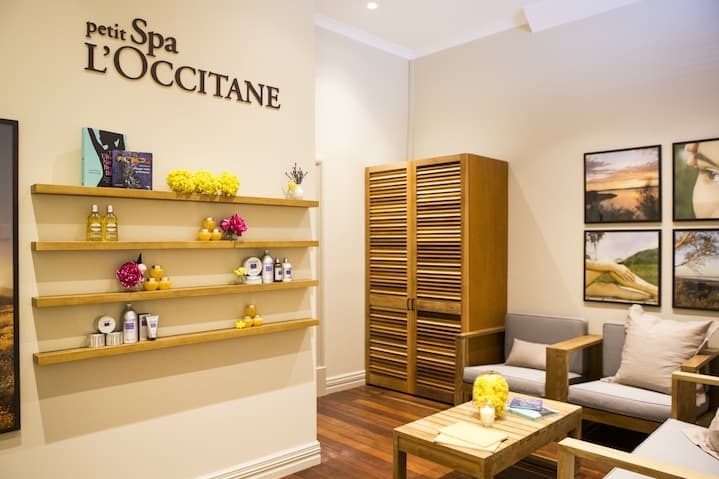 The spa staff found that many of their guests were from Perth originally and, after having treatments, would ask if there was anywhere back home they could experience a little L’Occitane escapism. And so the first Petit Spa simply had to be on the West Coast – a little satellite experience from the full-blown luxury in Broome. My therapist Rennie, who greets me at the top of the stairs, is actually from Hong Kong. She wears a crisp navy cotton uniform with a tiny watch pinned to her chest like a nurse in the 1950’s. It’s nostalgic and comforting, at the same time. 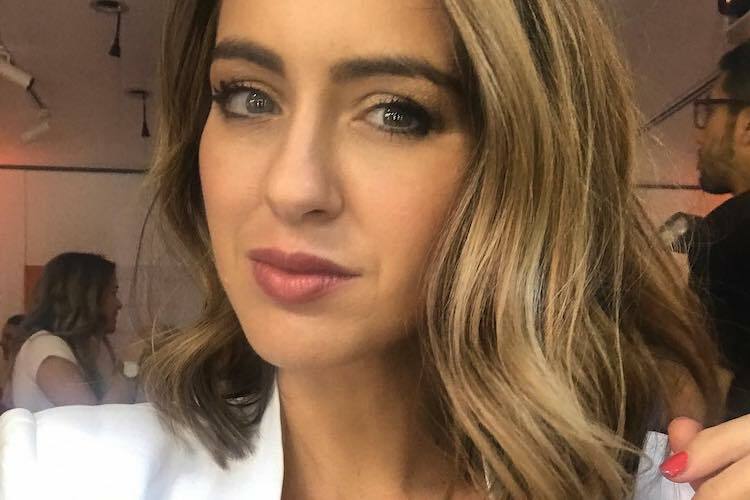 Once seated in the neat waiting room, I’m given a questionnaire to answer about my state of mind, health and massage preferences before being whisked into a cosy treatment room. On the bed there are tiny vases lavender that have come all the way from Provence and Immortelle flowers (the key ingredient in L’Occitane’s anti-aging line) – also dried and shipped here from Corsica. I’m given the most stylish disposable G-string I’ve ever seen, instructed to don the robe and remove all jewellery. Rennie gives me a beautiful foot bath with the new Relaxing Bath Salts from the Aromachologie range and carefully dries my feet. She mists the bed with the Relaxing Pillow mist and I dive onto it with a sigh of relief, surrendering to the ministry of her hands. I have asked for the Relaxing Aromachology massage with some Deep Remedial moves thrown in for good measure. Over the next hour, Rennie combines massage modalities from long Lomi-Lomi strokes (inspired by the Hawaiian massage ritual) that lull me into a state of bliss to staccato acupressure points that soothe my knotted shoulders. It’s the little details in spas that make them cosy and special – like the bowl of lavender flowers underneath the face hole here at the Petit Spa on the massage bed, that are not only so pretty to look at but waft sleep-inducing aromas into your nostrils as you nod off to la-la-land. And that’s what I very nearly do. As my back is pummelled gently, I feel my consciousness dip and dive beyond the treatment room in Perth and far, far away to a field in Provence that heaves with the sultry scent of lavender, bending, redolent in a pastoral breeze. 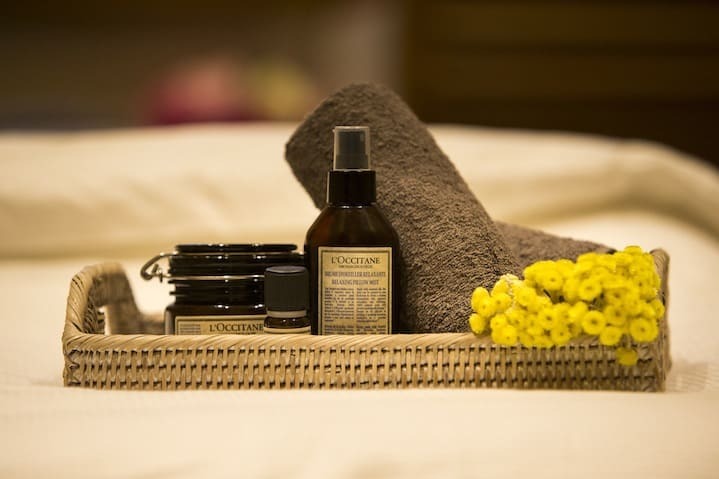 If you want to be transported to somewhere sensorial and relaxing (even when you’re going somewhere as simple as the local shops), then the L’Occitane Petit Spa is well worth a look. For more information head to the Subiaco Petit Spa site. Story by Sigourney; Photography by David Phillips photography PERTH; Sponsored by L’Occitane. What spa treatment are you in need of?